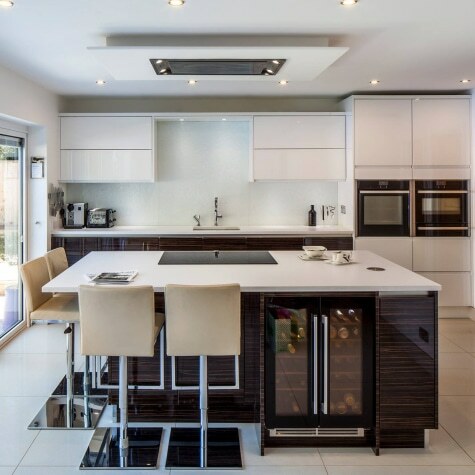 We are a family run business based in Lymington, who since establishing in 2007 have successfully provided award winning kitchens and interior design solutions. Our focus is on providing excellence in customer service and the best products from trusted partners and leading suppliers. Katie Parnum has worked in the interior design business for many years and has worked both for European fabric houses and with high end interior design companies. She has great enthusiasm and passion for interiors, design and colour. She draws inspiration from a variety of sources to create highly bespoke and evocative interiors. She has extensive experience of the industry and has undertaken various prestigious commissions within the UK. Matthew Parnum started his working career within the building and construction industry and worked as both site and project manager for a number of regional and national house builders. In 1995 he specialised in the furniture industry and has since been involved within the KBB (kitchen, bedroom and bathroom) Industry. His experience combines his technical appreciation gained from working in design, commercial and technical roles, and his kitchen design abilities which have led to to many accolades and awards.